Finalize a coordinated bird monitoring plan that will address both long-term and short-term monitoring needs for all species of birds in Wisconsin. Identify deficiencies in monitoring activities, make recommendations for problem areas, and design and implement new monitoring programs to fill priority monitoring gaps. Ensure monitoring activities are conducted in the context of strategic conservation principles. Regularly review existing bird population monitoring efforts in Wisconsin, both formally and informally. Provide a status report on all species of birds in Wisconsin based on a monitoring program at an interval of time yet to be decided. Identify which bird species are in most need of management attention (e.g., because of serious declines or overabundance issues) and communicate needs to the state Wildlife Action Plan committee. Investigate opportunities and take action to incorporate bird surveys into ongoing statewide, regional, or county resource assessments (e.g. statewide forest inventory assessments). Identify information that is unknown or lacking that limits our ability to effectively monitor, manage and conserve birds and bird habitats in Wisconsin and suggest research projects to answer those questions. Share information gaps with all research institutions in the state to promote getting the research accomplished. Play an active role in newly-initiated Midwest Coordinated Bird Monitoring efforts (contact: Katie Koch, USFWS). Serve as a leading example for regional bird monitoring and collaborate with other Midwest states for more effective conservation. Held several statewide monitoring meetings to advance the first draft of Wisconsin’s Coordinated Bird Monitoring Plan. Identified long-term bird monitoring gaps, prioritized gaps by bird groups, and started the process of identifying short-term management issues with monitoring needs in Wisconsin. Collaborated with Hawk Ridge Bird Observatory to develop and implement the Western Great Lakes Owl Survey. This survey recruits 60+ volunteer bird monitors annually and in 2009 completed its fifth year of data collection for this poorly-monitored bird group. In cooperation with the Northeast Coordinated Bird Monitoring Partnership, established the Wisconsin Nightjar Survey, a statewide survey initiated in 2007 that targets Whip-poor-wills and Common Nighthawks. Worked with USFWS-Patuxent to pilot the sampling framework for a national marshbird monitoring program. Wisconsin was the first and only state in 2008 to test aspects of survey design and implementation, with results being used to refine the framework before application on regional and national scales. The Wisconsin Marshbird Survey continues annually in wetlands statewide and monitors secretive species such as rails, bitterns, coots, and grebes. Created the WBCI Bird Monitoring Website to serve as the central location for volunteer recruitment and dissemination of all information and survey materials for the citizen-based bird monitoring programs described above. Helped complete Phase I of the Forest Bird Habitat Matrix for Wisconsin. This project attempts to create a classification system for forest habitats across the state and a database to input point-count data from existing and future surveys into that habitat classification system. The Matrix will assist with conservation planning and help outline additional habitat-based surveys needed to complete our understanding of bird-habitat use. 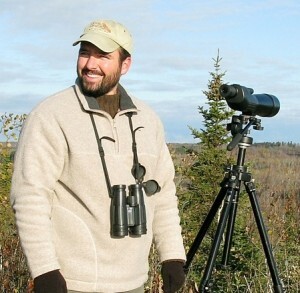 Sponsored the development of a Birder Certification Program with UW – Green Bay. This project will help advance the capacity for citizen science in Wisconsin for existing and new projects needed to monitor bird populations in the state. Worked with the Cornell Lab of Ornithology to establish a Wisconsin page on eBird, an online citizen-based monitoring tool catering to Wisconsin’s vast birding community. Participated in regional bird monitoring discussions, including, for example, a Midwest coordinated bird monitoring meeting in La Crosse in July 2009, ongoing conversations of the Midwest Nightbird Monitoring Working Group, and exploratory communications regarding the use of unmanned aerial vehicles and automated recording units for more effective bird monitoring. Complete a first draft of the Coordinated Bird Monitoring Plan for Wisconsin. Continue implementation of statewide owl, nightjar, and marshbird surveys. Design and implement a statewide survey for breeding Red-shouldered Hawks. 2010 will mark the first year of data collection for this new volunteer-based survey that aims to generate population status, trends, and habitat associations for this state-threatened woodland raptor. Complete Phase II of the Forest Bird Habitat Matrix project. This phase will include database development, integration of existing datasets into the database, and analysis to outline information gaps for forest habitats and bird species. Continue participation in Midwest Coordinated Bird Monitoring efforts and collaboration on monitoring projects with other states in the region as appropriate. This committee does not have a formal membership, rather there are many individuals that participate in annual meetings and ad hoc working groups led by Ryan Brady.